Posted on Wednesday, July 12, 2017 by "T". The first Day 2 (Day 2ab) started on Tuesday with 2,219 players and finished a short while ago with roughly 1,100 survivors. 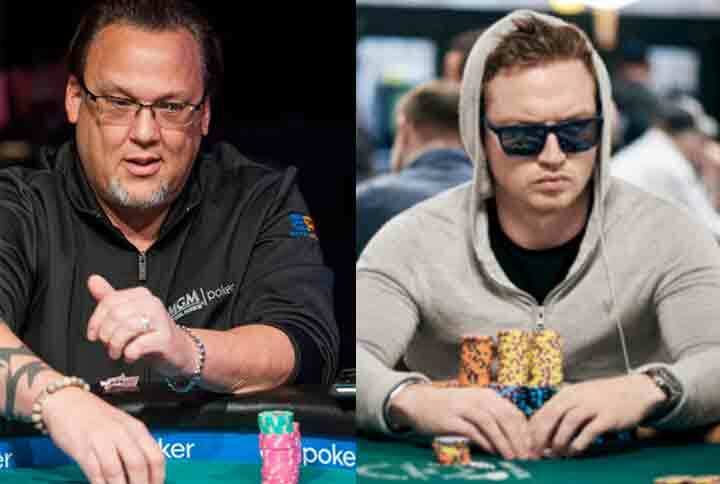 Mickey Craft (from the 1a flight) and Lawrence Bayley (from Day 1b flight) were the top 2 players at the end of Day 2ab, both bagging over 600k in chips each.